The Robb Company offers a variety of services to benefit any actor and/or writer. Whether you are a member of The Robb Company family, or represented elsewhere, these services are available to all. Please feel free to contact Sherry Robb or any one of her associates to get started. Below are our services we have available at this time. Check back often to see what we have added here to help you achieve your goals. 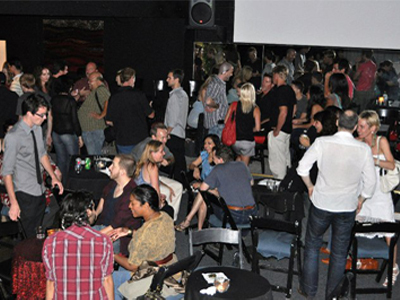 Starting in 2010, The Robb Company started an Industry Mixer and invited not only their own client list but potential clients, casting directors, producers, directors, investors, composers and below the line talent. The motivation to create this monthly gathering of creative people came out of an idea that Ms. Robb got when reading a quote by Margaret Meade: "A small group of thoughtful people could change the world." Open to all artists, the goal of the evening is to have everyone share their expertise with the group, exchange numbers so that they can contact one another after the event. Our first event was held at The Olive Garden in Glendale with 27 participants. Thereafter, we have found a home at the CAP Theatre in Sherman Oaks. In 2011, our attendance was up to 100 and counting. It is still exclusive and attendance is by invitation only. 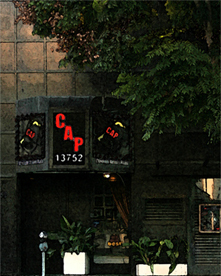 CAP is located at 13752 Ventura Blvd. in Sherman Oaks. It is a beautiful and cozy environment with a sense of casual elegance and a vintage spirit of Cabaret. The admission at the door is $5.00 and includes wine, liquor and finger food treats. All the money goes directly to supporting the theatre. For rental information on the CAP Theatre, go to their website and see for yourself that they really are a "Great Intimate Venue in Sherman Oaks!" Many actors have landed roles in films, as well as an agent or manager. A composer was hired to score a feature film. An investor joined a production team, developed a TV Series, shot it and screened it at The Sherry Lansing Theatre at Paramount Studios. Several screenwriters have been hired to re-write scripts, and a television executive producer picked up a TV Series to market. What exactly is 'The Niche'? 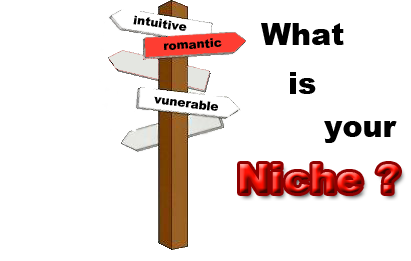 The Niche is intended to guide and support people in self discovery as a tool to fully embrace who they are as individuals and creatives. It is an entertaining exercise that leads the participant to discover their OWN unique inner persona. With The Niche, you will learn how to project your uniquness to the marketplace. You will know exactly what your head shots should project for maximum impact and you'll learn how to keep control of your own photo shoot in a creative way rather than have the photographer define who you are. Your photos will then project the true, authentic YOU. •What do you have to offer that's special? •What are your driving forces? •What do you project when you enter a room? Your Niche is your calling card and once you OWN who you are, you can only SHINE! Writers find sitting in on a Table Read with prepared actors reading their script brings them not only a unique perceptive of their own work, but they are able to experience how their dialogue sounds coming from the characters... and if their overall dialogue of each role leads to the development of that character. Observing their script come alive, they immediately know where it needs editing... a very useful tool to writers before they write their Final Draft of their Screenplay. If writers feel confident that their script is ready to be developed or produced, then inviting producers and investors to the Salon can lead to a new level of excitment and participation which heightens the possible involvement of the guests. You may have the best idea or a well-written, saleable script but if you cannot effectively power pitch to producers then your chances of ever seeing your story on screen is reduced substantially. Producers are busy, they hear pitches day in and day out. How to bring out the uniqueness of your Screenplay, comparison to other comparison films in the marketplace, what makes it unique and marketable and being able to pitch the whole beginning, middle and ending of your story within five minutes. You will learn this and much more of HOW to present (with a calm spirit, confidence and with all your body language in concert with your words), when you attend our Workshop. Ms. Robb was a Guest Professor at The University of Texas in Austin and collaborated with and adapted Robert Kosberg's, How to Pitch Your Idea to Hollywood into a book, and she sold it to HarperCollins Pulishers in NYC. Create a TV Bible destined to be not only well received and appreciated by TV Producers, but one that will knock their socks off! We are so fortunate to have teamed up with William James, Owner of Willow Brook Studios in Los Angeles... and now, TV Consultant to our company. Never in my thirty years as a Literary Agent have I met a writer/thinker/creator who has the 'conceptionalization ability' that Mr. James possesses. He has a talent to visualize the longevity of a TV Series idea... helping writers with his thorough, hands on approach. William James works in close collaboration with Sherry Robb each step along the development of a TV Project. Both Episodic and Comedy scripts are reviewed. 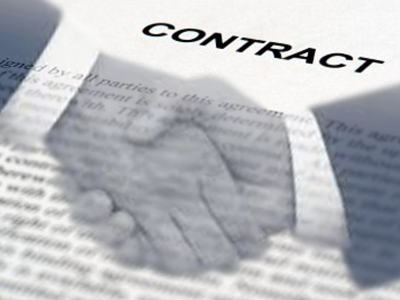 The first contract a Writer signs is the most important one because it sets the precedent for all other contracts to follow. Whether it's your first contract or your tenth, I can negotiate the best deal possible for you. Writers have rights, and the Writers Guild of America has set the standard for all writers. I have launched the careers for over 200 Writers and negotiated their contracts. Other writers, who I do not represent, have contacted me to negotiate a deal that they have been offered. Many writers do not know how to handle negotiating contracts, nor do many have the access or the money to hire an expensive entertainment Attorney. After thirty years in the literary field, I am available to all writers to offer advice and to negotiate your contract for you. 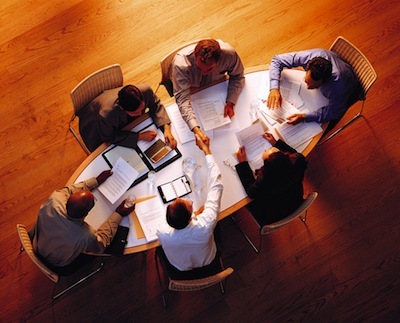 I have the expertise and knowledge to execute an excellent contract that reflects the best deal possible for you. I am an advocate for writers. Whether your a WGA member or not, you deserve to receive the standards... and more if there is keen interest in your script, novel or TV Series.